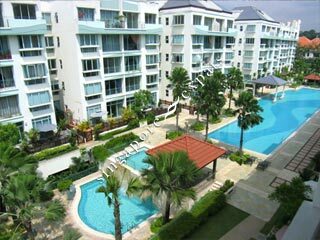 Freesia Woods is a freehold condominium set amidst in the Sunset Way residential estate. Freesia Woods is away from the hustle and bustle of the city life, yet conveniently close to the Holland Village, Orchard Road, Bukit Timah Road, Pan Island Expressway and Ayer Rajah Expressway. Freesia Woods condominium facilities include an European-style courtyard lined with fountains, trellised walkways, open-air Jacuzzi, Olympic-sized lap pool, gymnasium, tennis courts and children’s playground. Every unit is also well equipped with intelligent features like the built-in broadband infrastructure, home local network (LAN) and a online condominium portal. One can also automate the home systems remotely through the internet or WAP-enabled cell phone. Private and Quiet. Close to greenery and nature. Close to schools and amenities. I stay at ground floor, the ceiling does not have any sound proofing , I can hear feet stepping, subjects moving, kids jumping shouting, and adult jumping all day long... i prefer HDB then this one. A quiet oasis, exclusive estate full of greenery. Easy access to transport, mins to the city.